【国外历史论坛】为什么中国在15世纪将自己封闭在世界之外? [美国媒体] Why did China shut itself out of the world in the 15th century? Why did China shut itself out of the world in the 15th century? After a period of maritime explorations (see Zheng He) in the early 15th century, the Ming Dynasty started shutting the Middle Kingdom out of the rest of the world. This of course continued with the Qing, and the empire remained largely isolated until the 19th century, because of foreign "initiative." However, just when Spain and Portugal started flourishing with an economy based on trade, the Chinese chose to close their doors to the world. Why might have caused them to do this? They pretty much had all they needed resource-wise in the country, trade was not a prerogative and even though Zheng He did go out exploring they were not interested in colonies or mercantilism. Imperial China didn't need the outside trade, they were a large country that didn't have need for resources from the outside and their technology at that point was sophisticated enough for what they needed. I've often wondered what would happen if they did not stop their explorations with Zheng He as some of the archaeology I have seen on ships from that era were innovative and very interesting. They seemed to be able to sail fairly far with their ships, which were extremely large (although I don't know converte++d numbers off the top of my head) although there were issues with rising piracy in the Malay Peninsula as well as storms. Recent conservation efforts have shown numerous ship wrecks off the Chinese coast on the way to the Malay Peninsula, wrecks that are only now being explored and providing insight into shipping that DID continue after the Qing closed off the country. Look at recent issues of Archaeology magazine for more on the wrecks, they had a couple of stories recently that were interesting on how the shipping continued as the merchants converted to Piracy (or basically being called pirates) by continuing trade against Imperial Edicts. I would like to emphasize the role that the Chinese mindset played. As MichaelF mentioned, the attitude of the rulers dictated the direction of China's advancements. Belief that China was "perfect" and had everything necessary was reinforced by Confucian notions of harmony and society. Signs of political and military weakness that appeared near the end of the last dynasty were ignored by the emperors and those in the court. During the Qing dynasty, progress in every area slowed considerably. Scholars turned from social commentary to more passive work, analyzing ancient texts often in obscure esoteric ways. Exploration was not encouraged and consequently naval technology stopped improving. Wrong assumption. Ming trading with SEA continued during the 14-16th century, trading Ming porcelain and other goods for spices, teak, ivory and turtle shell, with archaelogical finds in Malacca and Singapore. Indeed, the wukou pirates were also large Chinese merchant fleets which rebelled against the trade ban of 1540, which was started against the the threats of piracy and smuggling...a scorched earth policy enacted that reflected Ming China weakened military( a Mongol army would attack Beijing, their capital during this period.) The revival of her military ended the trade ban, to the extent that a few decades later, Spain would allow a precious bullion run to Manila and half of the silver mined in Peru found its way to Ming shores, creating the famous China trade that would lead to the EIC adventures further east to the Oriental. Similarly, after a Qing naval ban enacted against Ming loyalists in Taiwan,(where a Ming warlord pirate captured the Dutch colony), the Qing resumed trading overseas, with documentated visits to Bangkok. Indeed, just one year after the founding of Singapore, the first Qing junk called in port to engage in entrepot trade. Never mistake the Canton trade system of protectionism for lack of interest in mercentilism. Indeed, what are the Hong merchant barons, if not mercentilists?? As a supplement, there were other reasons. Money was one of the important reasons. Such fleets cost huge amounts of money. The Emperor Zhu Li (Yongle Emperor) had been spending huge amount of money on the book of Yongledadian (《永乐大典》), moving the capital, and the war with the Mongols. Exploration was definitely not the number one thing to do on an empty national treasury. People. 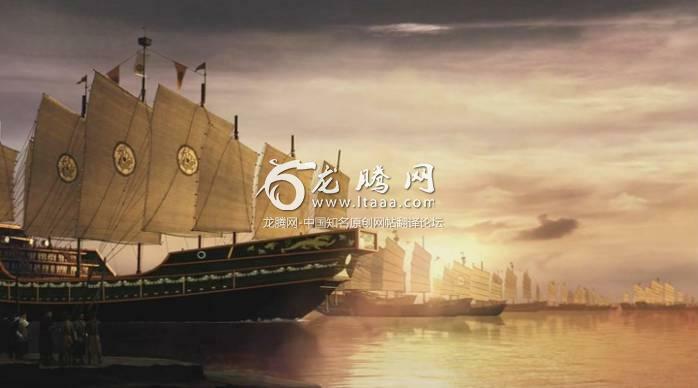 There was no one like Zheng He or Wang Jinghong (郑和， 王景弘) after they died. The Emperors after Zhu Li were focusing on power struggling, civil affairs and hence there was no one to support the exploration in the political system after all. They had occupyed the known world. There was no competition to drive inovation. Europe on the other hand, aways had competition in every aspect of life. So when Italy failed to finance Columbus, Spain did. China isn't alone in this. Other empires have fallen into this trap. Every large organization is subject to this trap. We should always be suspicious of monopolies. The whole assumption is wrong. The construct China-was-once-a-big-maritime-power-when-nobody-could-verify-it then when Westerners show up they become a hermit kingdom, is just a modern revisionist interpretation, primarily by sensationalist Western scholars, many of whom exhibited highly amateurish scholarship, like Needham. The Arabs invaded southeast Asia before even the Tang Dynasty and expanded their power and empire constantly. In their writings, China is virtually a non-entity from a naval power point of view. In many cases they refer to the Chinese almost as aborigines. The maps you see of ancient China with these huge empires are highly misleading. When the Portuguese arrived in 1520 the entire south was completely occupied by Cantonese. Ming emissaries were like 1 out of 100,000 people. I think that they had all they needed and they were always able to help each other by trading along the two main rivers of China, that separate them from the rest of the world.